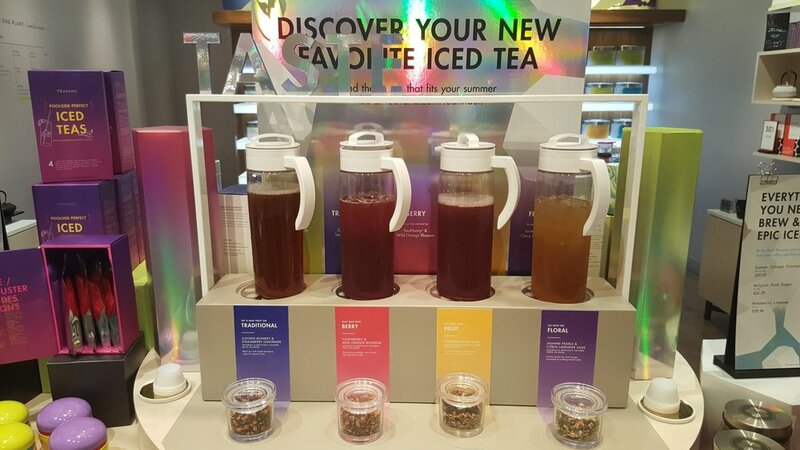 NEW: All the Teavana Shaken Iced Teasare now sweetened with a liquid cane sugar, which was specially crafted to complement the Teavana teas, and has fewer calories than the previous sweetener. 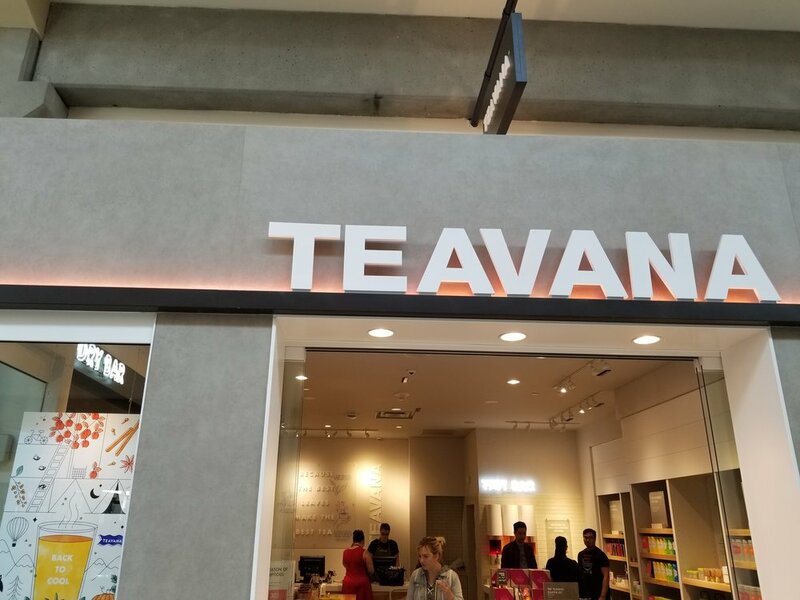 NEW: Teavana Lightly Sweet Chai – Available hot or iced, Teavana Lightly Sweet Chai Tea Latte is a less-sweet take on the beloved Teavana Classic Chai Tea Latte. Black tea is infused with cinnamon, clove and other warming spices, mixed with steamed with milk and sweetened with new liquid cane sugar. In the food news, there is big news: The Gluten Free Breakfast Sandwich is here nationally at Starbucks stores. You will like this even if you don’t require a gluten free diet. I have actually had the new Gluten Free Breakfast Sandwich a couple of times before today’s national launch. I first tried it when it was in testing in San Diego county last fall. At that time, 350 select Starbucks locations carried this new breakfast sandwich. I was inside the Starbucks headquarters last month trying the new Overnight Grains, and had another chance to enjoy this new Gluten Free Breakfast Sandwich. Delicious! This Canadian bacon and peppered egg patty and cheddar cheese breakfast sandwich is a tasty, not too heavy, delicious way to start your morning. The Gluten Free Breakfast Sandwich is warmed in its own packaging to avoid cross contamination, ensuring it stays gluten free. You’ll find the new Gluten Free Breakfast Sandwich at the majority of U.S. company-operated Starbucks locations. Today is National Iced Tea Day! Both Starbucks and Teavana are celebrating with offers. 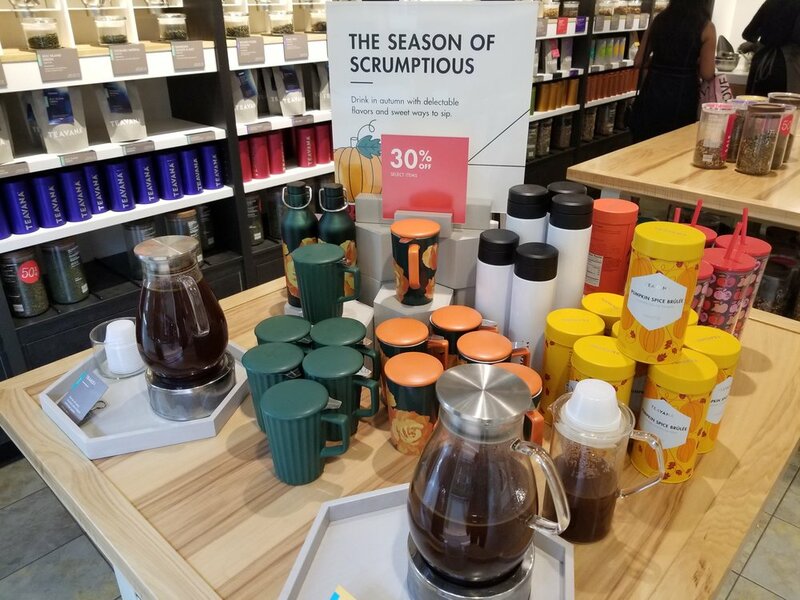 At Starbucks stores, when customers buy one Teavana Shaken Iced Tea they will get one free to share at Starbucks Stores on Friday, June 10. 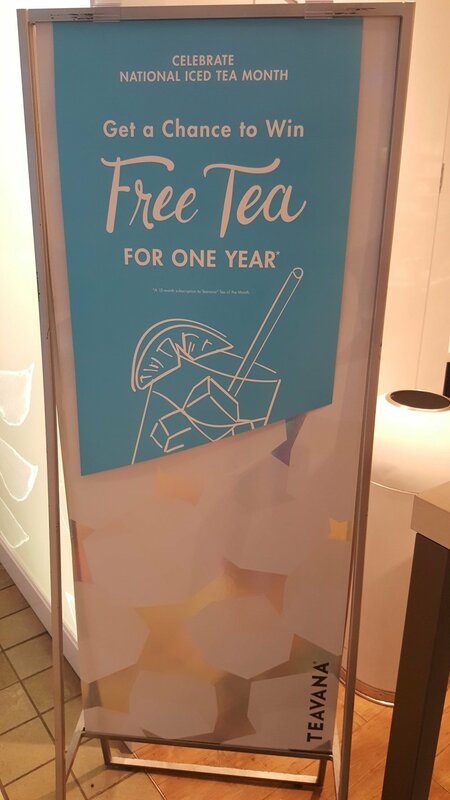 At Teavana stores, customers can visit Teavana Stores to Win free Teavana Tea for a Year, plus the chance to instantly win a free 22 fluid ounce iced tea beverage and up to 50 percent off any full priced item, June 10-12, June 17-19, June 24-26. 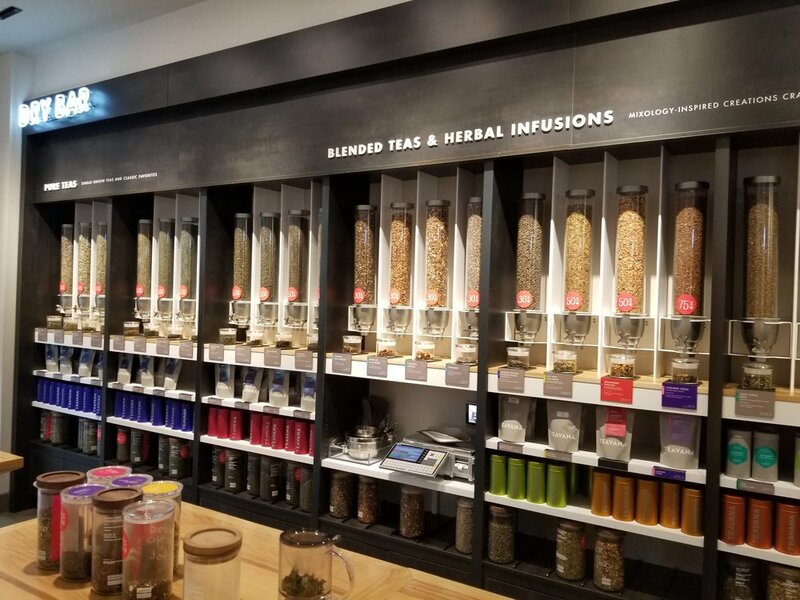 Also from June 10- 12, customers can come into Teavana stores and get a free tasting of Teavana tea blends made to be served over ice. Go to Starbucks today to take advantage of buy one, get one free on the Teavana shaken iced teas! 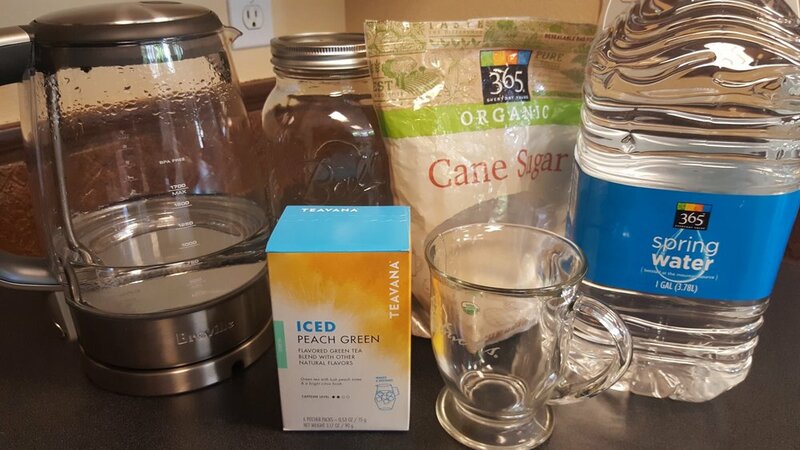 For National Iced Tea Day, I decided that I’d show you an easy wayto make a huge pitcher of iced tea at home. I am using the Breville Crystal Clear water heater, which is my favorite thing ever in my kitchen. I use it nearly every day for some kind of coffee or tea making. You will have 7 cups of boiled water about 5 minutes. I decided to use my big 64 ounce mason jar that I bought for making cold brew coffee. I boiled water, and since that big mason jar is marked on the side with measuring indications, it’s easy to fill it just half way with boiling water. I did wait about 30 seconds before pouring the boiling hot water and added an ice cube. You actually want your water temp closer to 195, so I had about a 30 second lag before tossing in the sachet. The next step is to fill your 64 ounce pitcher the rest of the way up with cold water. I used room temperature bottled water. Then serve over ice: I crammed a cup full of ice and poured the iced tea over it. This was super easy and delicious. It’s crisp, lemony, and peachy and I literally had fabulous iced tea super fast.